To celebrate the release of DreamWorks’ smart, funny, irreverent animated comedy Trolls this week we’ve got 3 sets of incredible Trolls merchandise to give away! 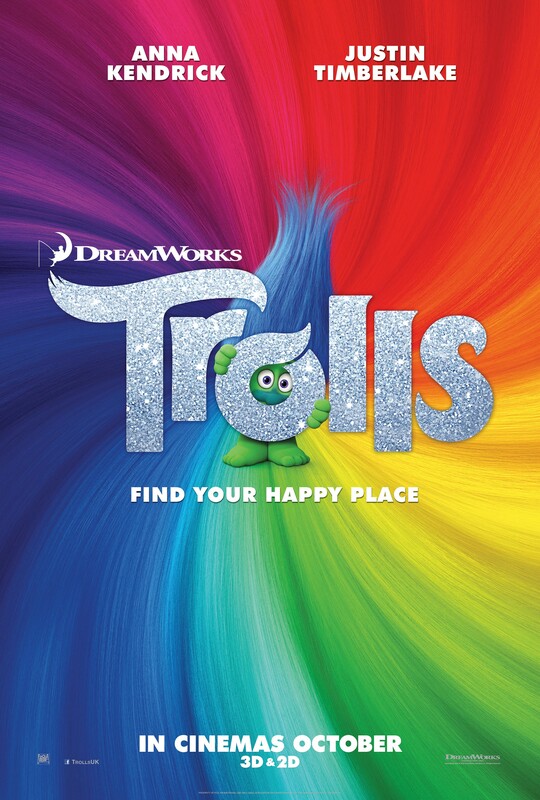 This holiday season, enter a colorful, wondrous world populated by hilariously unforgettable characters and discover the story of the overly optimistic Trolls, with a constant song on their lips, and the comically pessimistic Bergens, who are only happy when they have trolls in their stomach. Featuring original music from Justin Timberlake, and soon-to-be classic mash-ups of songs from other popular artists, the film stars the voice talents of Anna Kendrick, Justin Timberlake, Russell Brand, James Corden, Kunal Nayyar, Ron Funches, Icona Pop, Gwen Stefani, and many more. DreamWorks’ TROLLS is a fresh, broad comedy filled with music, heart and hair-raising adventures. For a chance to win one of these incredible Trolls merchandise packs, enter our competition via our app below! 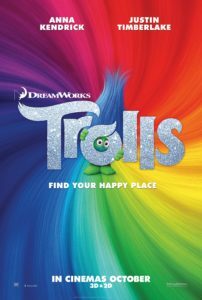 DreamWorks Trolls is in UK cinemas on 21st October. The competition ends at 23:59 on 7 November 2016. The prize consists of a Trolls merchandise pack which includes magnets, lenticular cards, a keychain, an activity pack, a yo-yo, a stationery set, a mini globe and a kid’s T-Shirt. 4 Comments for "Win Incredible DreamWorks Trolls Merchandise!" a completely amazing bundle of happy fun – we’re a mummy & daughter extreme fan duo! !